This is a made to order product and therefore non-returnable/cancellable. As the experts in thermal heating, Rointe introduce the new range of next generation home domestic heating: Delta Ultimate. Enjoy a mild and pleasant heat, flooding every room in your home. A healthy heat, which keeps the humidity relative without drying out the environment using the natural convection of the specially designed fins. With Delta Ultimate you can enjoy the warmest winter in your home with all the advantages offered by a low energy system that you can control from anywhere at any time. Sounds great right? 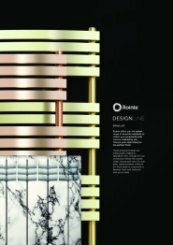 The new Rointe Delta Ultimate heating system will revolutionise the way in which up to now we understand the world of heating. With a sleek new design available in two colours and latest generation electronics with built-in Wi-Fi, the Delta Ultimate has been designed to bring you the comfort your family needs along with the most versatile control. Delta Ultimate is not only a home heating automation system which provides maximum comfort to your home,the Delta Ultimate goes much further. The most advanced heating system ever created by Rointe incorporates Fuzzy Logic Energy Control, the new low power technology developed by Rointe. Fuzzy Logic Energy Control has evolved from its predecessor Optimizer Energy Plus – with a faster and more effective start-up period allowing the initial heating phase to be stabilized, thus reducing the equivalent ratio of consumption to 38%. But what does that mean? We know concepts such as 'equivalent consumption coefficient' sound complicated, so we will make them easy to understand. 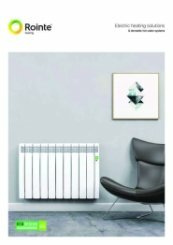 During tests performed in independent laboratories under specified parameters, a Rointe radiator with Optimizer Energy plus patented technology heating a 12m2 room to a set temperature of 21ºC for a period of 24 hours only uses power for less than half of the time, in fact only 40% of the time. So, it only uses 40% of the nominal power that it has available. In other words, to keep the room at 21ºC for 24 hours the radiator only has to work for 40% of the time, which we define as equivalent consumption coefficient. According to tests conducted by Rointe on the Delta Ultimate range incorporating the Fuzzy Logic Energy Control, the consumption is reduced by a further 6% from the Optimizer Energy Plus – taking the equivalent consumption coefficient to 38%. The range of Delta Ultimate radiators have been designed down to the smallest detail. With an innovative curved design and slim-line aluminium side locks, the back lit touch control panel, the new advanced Fuzzy Logic Energy Control and E-Life Technology technologies - all make the Delta Ultimate radiator the flagship of the brand. Thanks to Fuzzy Logic Energy Control technology, the average power consumed by the Delta Ultimate radiators accounts for only 38% of its rated power. New curved design with slim line aluminium side locks on both sides to give the product a compact finish and a consistent look. Maximum performance thanks to the new design of the bar, fins and the 98 mm depth of each element, with room for 50% more thermal fluid than other products on the market. Multi-layer surface mounted electronics with dual micro-controllers Rointe XLP8 & XLP16 Extreme Low Power, long lasting lithium battery and Triac as cutting element. 110 watts per element provide balanced heat transfer compared to other radiators on the market that consume between 125 and 160 watts per element, making them less efficient. The E-Life Technology allows the heating to be managed from the Internet in a simple manner and with individual control for each radiator. 1.77″ TFT Screen, the next generation, high contrast screen offers optimal viewing from any angle. The first Wi-Fi inside radiator in the world with Wi-Fi module to control its functions from a smart phone or tablet without intermediate terminals or other external elements. Total control from the radiator itself using the built in back lit control panel. 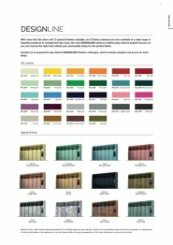 Product range finished in a sleek California, Carribean, Ocean, Arizona, Sahara, Bronze, Maldives, Damascus, Tokyo, Glacier, Detroit, and Amazon. for seamless integration into any environment. Total security with a 10 year warranty on the aluminium, and 2 years for electrical components.